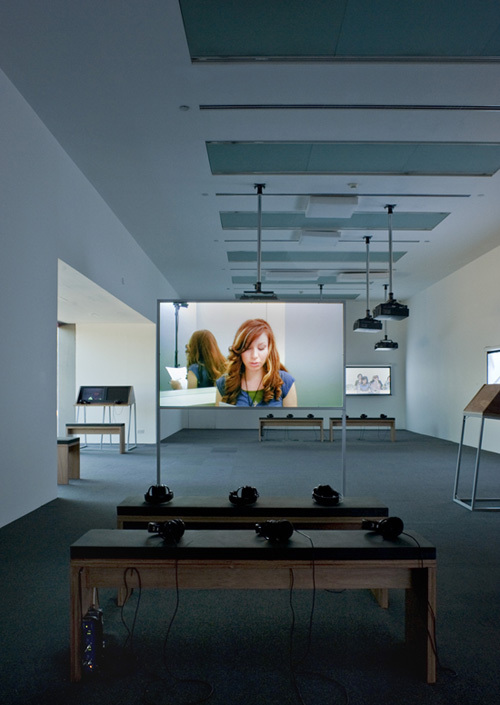 9 Scripts from a Nation at War is a 10 channel video installation that responds to conditions and questions that have arisen since March 2003, taking the U.S. context as an initial point of view. While 2003 marks the beginning of the invasion of Iraq by U.S. military forces, it is a conflict reaches backwards and forwards in history and memory, as a “long war” that has few, if any, boundaries. This work is structured around a central question: How does war construct specific positions for individuals to fill, enact, speak from, or resist?